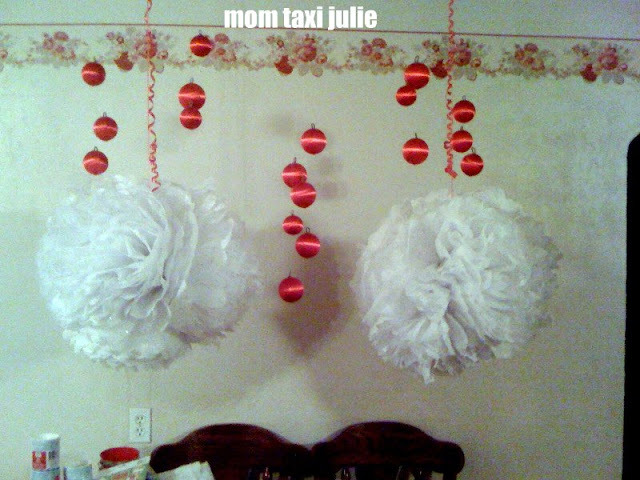 Mom Taxi Julie: Getting Ready! Here's a sneak peak of my table decor for my Ugly Sweater Party tonight. I didn't plan much decorations since we have Christmas stuff. But I got the idea to hang those over the table. Christmas Shopping, oh the J-O-Y! Working The Corner. And The Kitchen. In Search of Ugly Sweaters..